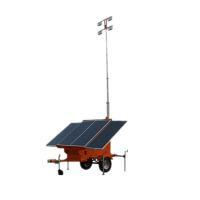 CQY1501 is a portable solar tower which light up a large area without making any noise and without having any external power supply. 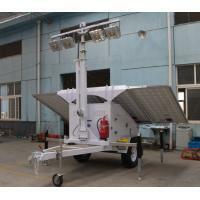 These High-Performance LED lights can be raised to 20 feet to cover the large area easily with a bright light. 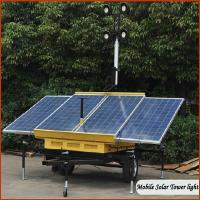 You can easily choose the appropriate combination of solar power and lights for the best performance you require. Four-light models can be expanded to eight lights in just minites. 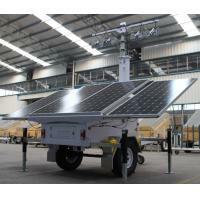 Operating modes include automated dusk-to-dawn operation, among other seetings. 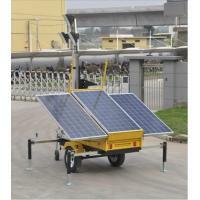 This product does not require Gas, Petrol or Diesel to run and it is totally noise free. Buy it and feel the difference yourself. CQY1501 comes with (4) 80 Bulb or (4)100 Bulb LED Panels wichi is capable to deliver 6 to 8X times more quality focused light over other LED and Solar technologies on the market. 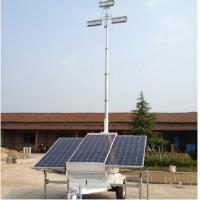 This model utilize components which is derived from Special Events, Rural & Hard-to-reach Areas, Emergency Response, Crime Monitoring, Accident Investigation, Construction and work sites, Mobile Security, Temporary Security military application, In low voltage and night time road works lighting solution. Unique battery configuration means maximum staying power, with up to 10 hours of run time on a single charge. An array of 6V Deep Cycle Batteries can be renewed at ease in eight hours or less via any 110V outlet, with zero dimming during the entire operationg cycle. 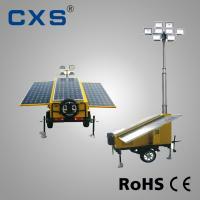 CQY1501 is manufactured by Xusheng illumination Co., Ltd., a leader in the Solar equipment industry. the unit feature heavy duty axle and cabinet assembly, galvanized mast with 359 raotation, a quality trailer system for protability-all suitable for retal grade operations. 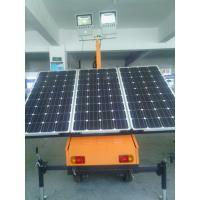 Other configurations are available which includes a diesel driven model designed to capitalize one the reduced energy drawding of LED bulbs, providing 40% fuel savings over traditional lighting costs. 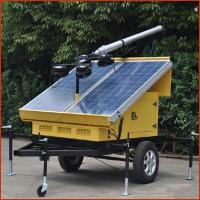 We also offer a hybrid model with batteries and engine for the ultimate in sustainability.